The largest federal farm payments were disproportionately paid to farm operations primarily made up of managers, or those who did not actively work on the farm, according to a new government watchdog report released in May. Farm investors and managers received nearly $260 million in U.S. Department of Agriculture subsidy payments in 2015, the Government Accountability Office reported. The top 19 operations receiving farm subsidies in 2015 had an average of nine managers receiving payments. Steve Morris, Director of Natural Resources and Environment for the GAO, said a trend identified in 2013 is still evident in the 2015 data. Spouses, corporations, general partnerships and limited liability companies all qualify as additional members and are eligible for payments. Management can also be defined as contributions of capital, land or equipment, according to the report. The largest farm operation had 34 members and took in $3.7 million. That’s compared to an average payment per operation for all farms of $28,732. The payments were issued under the The Agricultural Act of 2014, also known as the Farm Bill, a nearly $500 billion spending plan that manages U.S. food policy, conservation and dozens of agriculture programs. This includes payments to farm operators, who may be eligible for federal payments for poor crop yields, low commodity prices, weather-related crop damage and other income-affecting events. 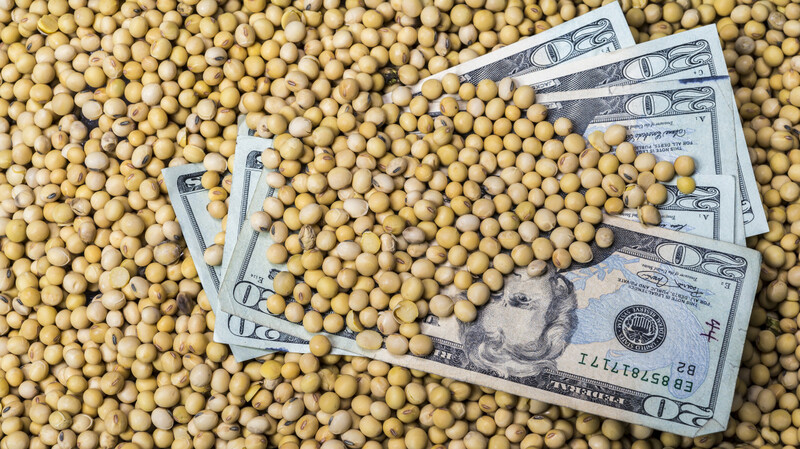 The 2014 Farm Bill limits Farm Service Agency payments to $125,000 for each member. The FSA is responsible for managing USDA safety net and conservation programs. New language in the Senate Farm Bill would remove limits on payments to farmers. Senator Chuck Grassley (R-IA) wants to crack down on non-farm operators profiting off U.S. taxpayers dollars. A recent analysis of FSA data by the Environmental Working Group shows $63 million in payments to nearly 18,000 people with addresses in the top 50 largest U.S. cities. That doesn’t include remote managers who use the farm address to receive payments. This is not the first time Grassley has tried to curb subsidies to operators who are not actively working on their farms. In 2013, the senator commissioned a similar GAO report. That study recommended stricter guidelines for defining the role of “manager” and limiting the number of non-family members in an operation to three. In 2015, before those new restrictions were implemented, only 6 percent of general partnerships receiving payments had six or more members, but those operations took in 11 percent of payments, totaling more than $123 million, according to the latest GAO report. The biggest operations receiving subsidies were disproportionately made up of only managers, with almost no members only contributing labor. Nearly 67 percent of payments were to managers and 30 percent to members who contributed both labor and management. That’s almost opposite the breakdown across all operations, where 75 percent of payments go to members who contributed both labor and management and only 23 percent were only managers, the GAO found. Many of the farm operations receiving the most subsidies were located in the South, likely due to additional payment limits allowed for cotton and peanut producers. Grassley said allowing investors to be considered “active managers” lets them take advantage of a safety net intended for the farmers who assume the majority of the risk in an operation. “In just the year 2015 alone U.S. taxpayers put out $259 million to people admitting they don't work on farms through egregious loopholes,” he said at the May press conference. Grassley is a recipient of farm payments himself, but said his role in the operation he shares with his son is different than that of an uninvolved investor. Even though he isn’t the type of manager that gets “dirt under their fingernails,” Grassley said the difference is that he is assuming liability in the operation. “I think people need to know why I decided to farm 50/50 instead of cash rent. I think that gives me a risk and I know more what the farmers are putting up with then if I just be an absentee landowner,” said Grassley. There are signs the changes recommended by the GAO in 2013 may already be helping curb uninvolved managers profiting off FSA payments. While the most recent data available to the GAO was from 2015, the report does include information on the payments received by those top 19 operations in 2016 - the year these new restrictions went into effect. The average number of “active managers” drops from nine to five. The average payment per member also drops from $119,179 to $109,595. The operation that had 34 active managers in 2015, dropped to just eight in 2016. Nearly a third of the top 19 farms reduced the number of managers in the operation in 2016. While that drop in managers is a direct result of the 2015 payment rules, it’s unclear where those managers went. The GAO says even though they are not a part of one of the top 19 farms any longer, managers may have reincorporated as smaller operations and are still receiving payments. And in some instances, they are simply identifying themselves differently. In 2015, one of the farms had 12 active managers - 10 corporations, two individuals, plus two spouses - and took in payments totaling nearly $1.1 million. In 2016, that same operation had no active managers, but listed 12 members as “combination of active personal management and personal labor.” That operation collected nearly $1.4 million in 2016. Morris said the GAO intends to revisit this topic in greater detail once more 2016 data becomes available from the USDA. That additional information should shed more light on the impact of the rule changes instituted in 2015, he said. “We’ll bring some clarity as to what, if any, impact the regulation changes have had,” Morris said.